Error : "Bad value for restricted picklist field while creating records"
In salesforce, a picklist can be dependent on a global picklist value set or it may be defined manually while creating field. The picklist is set as restricted in the field settings and user is trying to put an undefined value to it. Step 1 : Go to Quick Find box -> Create -> Objects. Open the Salesforce Object for which you are getting exception. Step 2: Go to record type section on the object layout. Step 3: Open this record type, you will find a section “Picklists available for editing”. 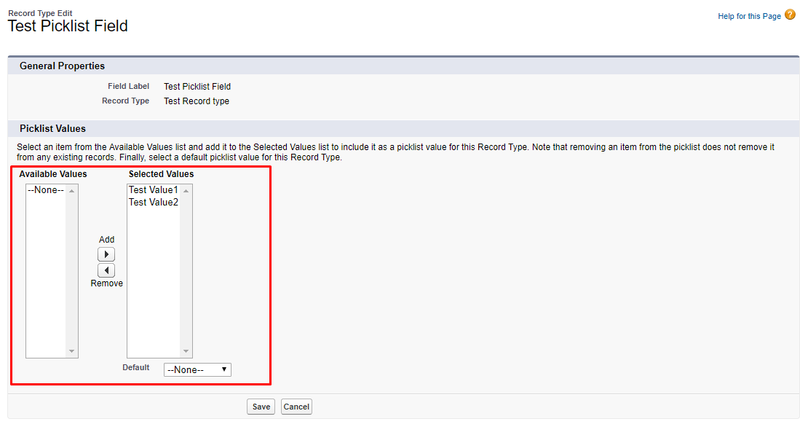 Step 4: Edit the record type for which you are facing problem and add the value to the picklist if it is not selected.